Cut tuna into 2” thick rounds. Sprinkle with spices. Brush pastries with oil. Add the tuna. Fold the pastries over the tuna fish and press edges together with the handle of a teaspoon. Prick the pastries with a fork a few times to let the air out. (One time a mother forgot and had a messy oven to clean because they exploded!) brush the top sides with oil. Bake on greased baking sheets 30 minutes or until done. If they are not to be served immediately drain off liquid inside turnovers to prevent them from becoming soggy. 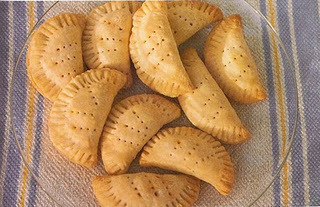 These are very interesting turnovers: the fact the meat is not minced or chopped but in fillets and the use of ginger and saffron give them a modern and oriental touch. And they are quicker to do, also! Tuna is a very sofisticated fish: there are many subespecies, among them those commonest in Spain, which receive different names. Thunnus Thynnus is commonly called "atún" or "atún rojo": it is bigger in size, the meat is red and every year it passes through Gibraltar Strait, in Cádiz, where the traditional fihing method is (as in Sicily) the almadrabas, owned in fact by the Duke of Medina Sidonia. This kind of tunna is very apreciated in Japan, where it reaches very very high prices: most of the production goes to Japan, where they love to eat it raw. 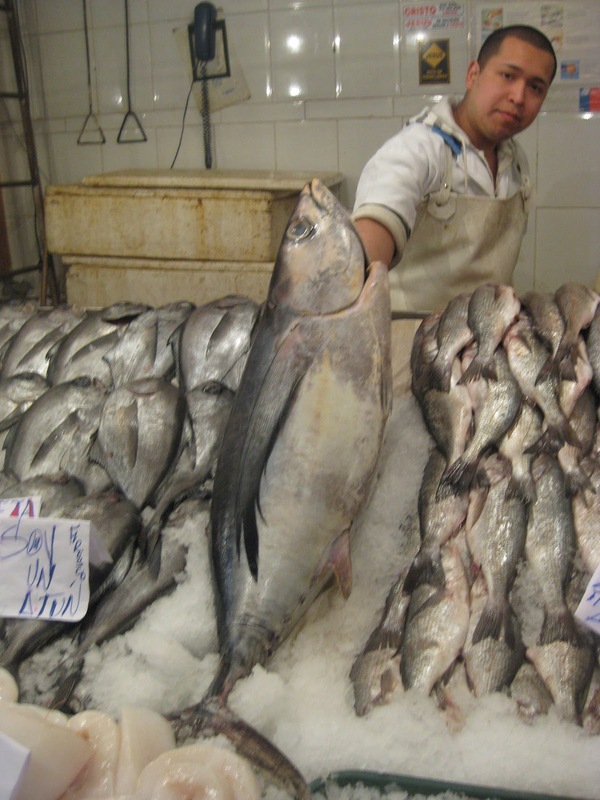 The other common subspecies is Thunnus alalunga, "bonito del Norte", "bonito blanco" or simply "bonito". It is much smaller, the meat is white and is typical of the Cantabric sea. The way of fishing also differs: they are fished from the fishing ships in open sea with robust fishing rods. They use as bait anchovies or sardines. Thank you so much for expanding on the topic of several types of tuna presented this week. The reader should know that you are spoiled by being able to shop at the "Market of the Marvels" in Madrid which flies in fresh fish from the Mediterranean and the Atlantic daily. A lot of people think they are lucky to have a can of tuna fish without knowing anything about its meat and various species. On August 8th I published a recipe for tunafish salad with the word "almadradas," tunny fishing grounds, showing Lucca, the cat, cleaning his glorious can of the only tuna he knows. And then there is the "Tuna", in Spanish, but it has nothing to do with tuna in English...! To see an almadraba at work I reccomend Roberto Rosellini's film "Stromboli". There is a picture by Dalí also: "La pesca del atún". It has more to do with hunting than fishing: The fishermen tend the nets between the boats and they approach, getting the tuna inside. They close the circle and pull up the nets, the fishes become crammed and they cannot get down, so they are on the surface. This is the moment the fishermen begin harpooning them and pulling them up into the boats. It is very dramatic, and dramatism is increased because (at least of old, like in the film), the fishermen sang ancestral songs while they were trapping the fish.